If you are looking for information on the Expedia CruiseShipCenters franchise business opportunity, Expedia CruiseShipCenter franchises or Expedia CruiseShipCenters franchising, then you have come to the right place. 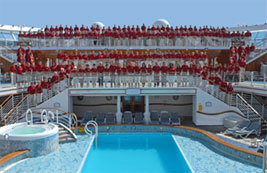 Since 1987, the company has been a market leader and a top seller with every major cruise line. In fact, we've averaged 30% annual sales growth - every year for the past two decades! The cruise market is vibrant and continues to grow. Research shows that over the next three years, 51 million North Americans intend to take a cruise vacation. The cruise experience also consistently exceeds customer expectations and 9 out of 10 guests say they will take another cruise. Cruise lines continue to invest billions of dollars into building new and more innovative ships to meet the demand. 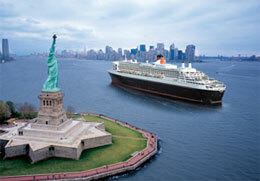 Ships now depart from more ports than ever and 70% of North Americans are within driving distance of their cruise. As an Expedia® CruiseShipCenters® Franchise Partner, you'll build your business around our proven "Customers for Life" strategy. Since your clients can buy from you how they choose - in person, over the phone or online; your business can serve more customers, whether they prefer "high touch or high tech". Successfully operating in small, medium and large cities, Expedia CruiseShipCenters locations are the anchor point for marketing and sales activities. The typical location is approximately 1,000 square feet and is home to both retail and home-based Cruise & Travel Consultants. From the exterior signage to the canted red wall, a signature porthole and ship railing, the Center design portrays a professional, cruise-related theme that is reflective of the inherent quality of the Expedia CruiseShipCenters brand. To take advantage of our "one to one" marketing, each retail location and every one of our individual Cruise Consultants have a personalized version of our leading edge website. Any lead or customer enquiry from your website is sent directly to your inbox for follow-up by a member of your team. With a multi-million dollar investment in our Internet strategy, Expedia® CruiseShipCenters® has developed the most content rich website in the industry. Through a direct interface with the cruise line systems, your website features over 10,000 departures in multiple currencies. In-depth content also includes 360-degree virtual tours, maps with detailed itineraries, information on ports-of-call, features of each ship and a variety of other travel planning tools. Do What You Love ... Love What You Do! We invite you to combine your entrepreneurial spirit with our experience and the power of the #1 Brand In Travel. 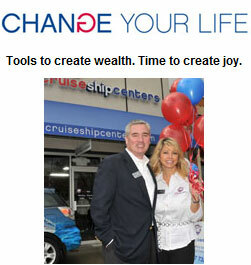 If you've always dreamed of a business that fits your lifestyle, join us in our Mission: Making Dreams Come True.